A fire alarm system is a requirement for most commercial properties. At Apollo Security Group, our trained fire alarm engineers and installers have the technical experience to make sure your fire system is installed exactly as required, on schedule and within the correct budget estimate. ASG is the sure way to get your fire plans approved without re-submittals that will cause construction delays. ASG fire system engineers are also skilled with understanding how to re-program existing fire panels and the convergence of new alarm devices to existing fire alarm devices. 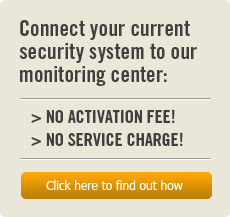 You deserve the peace of mind that comes with being protected by our systems. We have been successful for a reason. We get the job done. We take pride in taking care of our clients and in protecting their businesses.